A quick aside....my last Argus piece of the year is up here. Check it out! Except, I can't narrow it down. I've read 49.5 books this year (the jury is still out if I'll finish my current book in time to hit that 50 books this year!) and I just can't come up with a top 10 or top 5. But, I can come up with my top 3. Instead of saying that these are the "best" books I've read this year, but they are the three books that have really stuck with me. When someone asks for a book recommendation, I give them one (or all) of these titles. 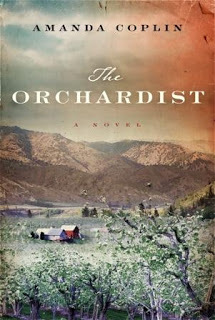 #3 - The Orchardist by Amanda Coplin (review here). It's rare that a debut novel would be one of my top picks, but this one is worth it. It's a moving historical novel about the importance of relationship. It's not a "fun" read, but a worthwhile one. 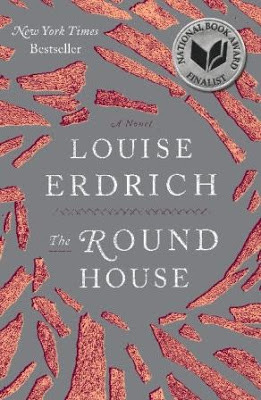 #2 - The Round House by Louise Erdrich (review here). This book won the National Book Award this year, so I'm not alone in this. Like The Round House, this is not a light read, but it is so compelling that I find myself recommending it over and over again. 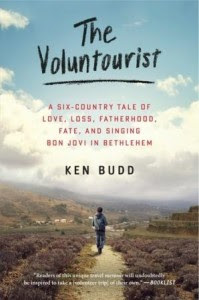 #1 - The Voluntourist by Ken Budd (review here). This is the book that I always recommend to everyone. It's very readable and its message--to help others and to make a difference in the world--is something that applies to everyone. So, there you go! Happy Readings in 2013! I need a new book to read soon! Thanks for the recommendations! I love seeing others book favs, I'll have to check these out! Thanks for the recs! Will have to add The Round House to my Goodreads and library wishlists! I've been looking for good reads! I'll be checking these three out from the Library for sure! Thanks! Thanks for the recommendations. I love hearing about new books to read! "The Voluntourist" definitely sounds up my particular (and well-lit) alley.